One of the first conversations you had with your doctor likely included a discussion on sodium, with the recommendation to lower your sodium intake and omit the use of the salt shaker. The reason for this is that diseased kidneys cannot deal with the increased sodium of the present-day diet. A high sodium intake increases the risk of high blood pressure, edema, and in some cases, leads to congestive heart failure. Sodium chloride, or table salt, contains about 40 percent sodium. In general, a teaspoon of salt contains about 800 ml of sodium. 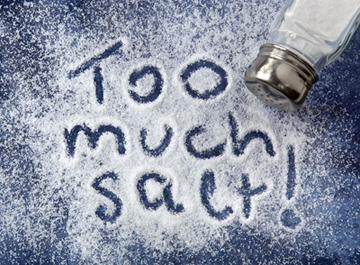 With CKD, you should not add salt to your cooking or to your food at the table. You should also limit naturally salty foods. If your doctor has prescribed a fluid restriction, salt will increase your thirst, which can make it difficult to comply with her orders. An additional, hidden source of sodium is found in over-the-counter medications. These include pain relievers, cough medicines, laxatives, effervescent tablets, and antacids. Research on pain relievers suggests that a high number of tablets and frequency of use can result in increased risks of high blood pressure in both men and women. Always consult with your doctor before taking any over-the" counter medications. In addition to restricting sodium, depending on your stage of kidney disease and other health issues, you may also be asked to watch the amount of fluids you take in. Previously, we talked a little about the reasons for restricting fluid intake. Here we will talk about how to go about it. A prescribed fluid restriction includes all fluids, including fluids taken with medications, alcohol, coffee, cream, fruit, milk, popsicles, pudding, sauces, soft drinks, soda, and yogurt, including frozen yogurt. Ice cream, ice milk, and ice cubes are also considered. One ice cube equals 10 mls of liquid. Some people find it easier to visually monitor their intake throughout the day by measuring out their total fluid allowance into a pitcher or other container every morning. This helps them ration their allowances throughout the day. After taking a drink, an equal amount of fluid is removed from the container. When the container is empty, the allotted fluid has been reached for the day. Remember that any food that is liquid at room temperature also needs to be included as fluid intake. Don't forget those juicy fruits such as melons and citrus fruits, and also vegetables like cucumbers. Save up your allowance if you have a scheduled social event or will be celebrating a holiday in the evening. Many foods contain traces of sodium, but processed foods can contain very high amounts. Most people already know that snacks such as chips, crackers, pretzels, etc, are packed with sodium. However, they are typically unaware of unexpected sources of sodium such as canned foods, processed meats and cheeses, ready-made meals, gravy mixes and sauces, stuffing, bouillon cubes, and other processed foods. This is why it is so important to read food labels and find out the amount of sodium each item has. To give you an example, certain types of canned soups can have as much as 1 g (1000 mg) of sodium in one can. If you are on a sodium restriction, then by consuming that soup you will have already met more than half of your total daily requirement. In general, you should restrict your sodium intake to no more than 2 g (or 2000 mg) daily. If you have advanced CKD, significant edema, or congestive heart failure, then your doctor may discuss lowering it even further, to about 1500 mg daily. This amount is not set in stone and can vary if your health condition changes. For example, if you were to get a "stomach bug" and experience some diarrhea, your doctor may instruct you to eat more sodium-rich foods to replace what you are losing. In the case of diarrhea, for example, you may also be asked to drink more fluids in order to prevent dehydration. It's important to communicate with your doctor if you notice any changes in health. 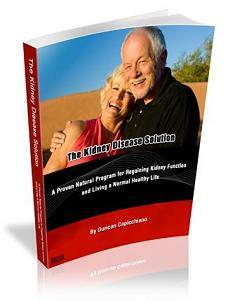 To find out more, you can check out Diet For People With Kidney Disease.